Amazon.com Offers Select Amazon Accounts 90 Days Amazon Music Unlimited for Free (YMMV). Cancel anytime before 90 days if you do not want to be charged. 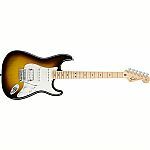 Adorama has Fender Limited Edition American Professional Stratocaster 6-String Electric Guitar for $1099 with code "presidents". Shipping is free. Amazon has Amazon Echo Owners: 4-Month Amazon Music Unlimited Service for free (New Subscribers Only). I just canceled my subscription a couple months ago... and this worked! same with me. i did cancel. now its worked. cool //@Anonymous: I just canceled my subscription a couple months ago... and this worked! Amazon has AVF EAK80B-A Adjustable Speaker Stands (Set of 2) for $10. Shipping is free with prime. Groupon has Free Three-Month Subscription to Pandora On-Demand Premium, On-Demand Premium Family, or Ad-Free Plus. Buy the FREE groupon of 3-Mo. Pandora Premium Family - reg. $14.99/mo. After activating on your Pandora account, go to Pandora "Settings" (top left circle), then "Subscription", then "CANCEL". Not valid if you've previously done a free trial. Auto renews on your credit card. Amazon offers 4-Month Amazon Music Unlimited Service for FREE. New Subscribers Only. Ends 2/5/19. Guitar Center has Yamaha PSR-F51HS 61-Key Portable Keyboard with Survival Kit A2 for $79.99. Shipping is free. Bought a similar one several years ago, and only used it couple of times the top part fell off and it turned into garbage. What is the difference between a conductor's music stand and a musician's stand? More money?!? //@Anonymous: What is the difference between a conductor's music stand and a musician's stand? 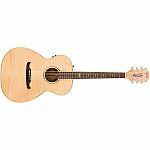 Adorama has Fender T-Bucket 350E 6-String Acoustic-Electric Guitar for $129.99. Shipping is free. Amazon has $100 App Store & iTunes Gift Cards for $85. Shipping is free. 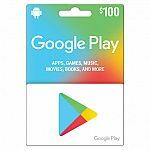 (Back) Walmart has Google Play $100 Gift Code (Email Delivery) for $77.77. (Back) Walmart has $100 App Store & iTunes Gift Card for $77. Email delivery. My order got cancelled immediately after placing the order. Now site says "This Item is No Longer Available"
After putting the order, I got the cancellation email from Walmart immediately. That's really disappointed. 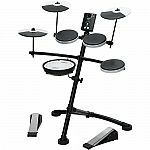 Amazon has Yamaha P45 88-Key Weighted Digital Piano Home Bundle with Wooden Furniture Stand and Bench for $399.99. Shipping is free. Amazon offers Echo owners 4 months FREE of Amazon Music Unlimited. New customers only. The following promotion applies after your free one-month trial: 4 months free. So total 5 months ! 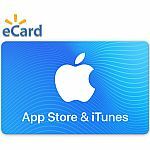 Amazon has $100 App Store & iTunes Gift Cards - Email Delivery for $80 with code "ITUNES20". Amazon has Just Dance 2019 (for various devices) $25.99. Shipping is free. 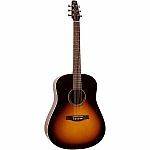 Musicians Friend has Seagull S6 Spruce GT Acoustic Guitar Sunburst for $249.99. Shipping is free. eBay has $100 App Store & iTunes Card for $85. Email delivery. Shouldn't n.s.a pay us for stealing personal information. The troll is back. //@anonymous: Shouldn't n.s.a pay us for stealing personal information. They should end you in a drone strike. //@Anonymous: Shouldn't n.s.a pay us for stealing personal information. Is this what n.s.a also want to do to Snowden? //@anonymous: They should end you in a drone strike. //@Anonymous: Shouldn't n.s.a pay us for stealing personal information. Edward Snowden is old news. Is that all you have to say? //@anonymous: Is this what n.s.a also want to do to Snowden? //@anonymous: They should end you in a drone strike. //@Anonymous: Shouldn't n.s.a pay us for stealing personal information. No. He is in everyone's heart forever. //@anonymous: Edward Snowden is old news. Is that all you have to say? //@anonymous: Is this what n.s.a also want to do to Snowden? //@anonymous: They should end you in a drone strike. //@Anonymous: Shouldn't n.s.a pay us for stealing personal information. Jesus? //@Anonymous: No. He is in everyone's heart forever. //@anonymous: Edward Snowden is old news. Is that all you have to say? //@anonymous: Is this what n.s.a also want to do to Snowden? //@anonymous: They should end you in a drone strike. //@Anonymous: Shouldn't n.s.a pay us for stealing personal information. LivingSocial / Groupon has Four-Month Apple Music Subscription for Free. New Subscribers and Individual Plans only. Thank you Apple, the greatest company in the world! Ha ha ha, nice joke //@anonymous: Thank you Apple, the greatest company in the world! Thank you!! //@Anonymous: Thank you Apple, the greatest company in the world! Music is so much better with an Apple Music subscription. And even betterer with a subscription and Apple EarPods! 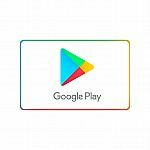 Today only, Sams Club has Google Play $100 Gift Card for $85 (Max 3 per member). Shipping is free. (back-order!) Amazon has Oscar Schmidt OU28T-A-U 8-String Tenor Ukulele for $37.83. Shipping is free. 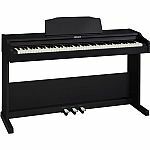 Amazon has Yamaha P71 88-Key Weighted Action Digital Piano with Sustain Pedal and Power Supply (Amazon-Exclusive) for $299.99. Shipping is free. 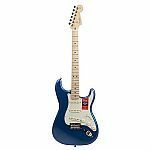 Amazon has Up to 60% off select musical instruments. Shipping is free with prime or free with $25 purchase. The guita is nice. I bought one a couple of years ago and it was $145. Very nice quality and sound. 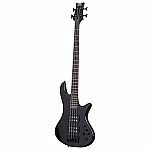 Adorama has Schecter Stiletto Stage-4 4-String Electric Bass Guitar, in Black or White for $399. Shipping is free. 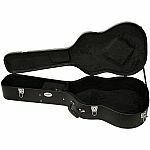 Amazon.com has AmazonBasics Guitar Folding A-Frame Stand for Acoustic and Electric Guitars for $8.41. Shipping is free with Prime (30-Day Free Trial) when available. Walmart / Amazon (back order!) has ChromaCast Hard-Shell Case with Pick Sampler for $24.99. Free in-store pickup or free shipping with Prime (30-Day Free Trial). 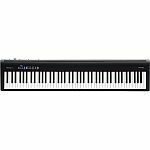 Adorama has Select Digital Pianos On Sale. Shipping is free. No Tax Outside NY & NJ. 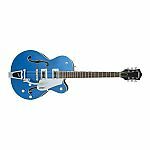 Adorama has Gretsch Electromatic Series G5420T Hollow Body Single-Cut Electric Guitar with Bigsby B60 Vibrato Tailpiece for $800 - $300 w/ Code "SPRINGTIME" = $500. Shipping is free. No Tax for Most. What is the difference between Sunoco and Conoco? Two different companies //@Anonymous: What is the difference between Sunoco and Conoco? when will they have overstock gc on sale again???? eBay has $100 App Store & iTunes Code for $85. Email delivery. Can I buy weeds with it? Google has 4-Months of Google Play Music for FREE (New Subscribers only). You may cancel anytime before your trial ends to avoid any fees. Audible is Offering 12 Audiobooks + $50 Off any Echo w/ a New Annual Membership at $99.50. Membership may be canceled anytime or will be auto-renewed. eBay has new gift card sale. Shipping is free.